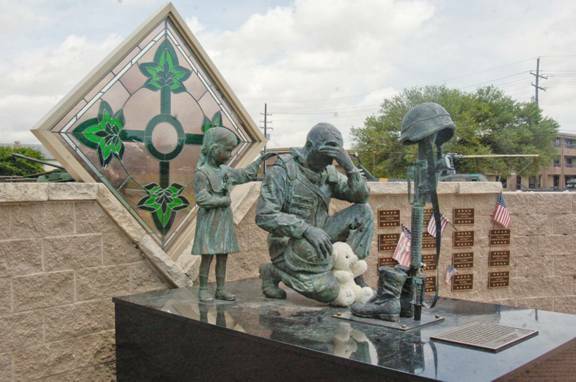 This statue currently stands outside the Iraqi palace, now home to the 4th Infantry division. It will eventually be shipped home and put in the memorial museum in Fort Hood, Texas. It may be there by now. Kalat was so grateful for America's liberation of his country, he melted 3 of the heads of the fallen Saddam and made the statue as a memorial to the American soldiers and their fallen warriors. I don't remember hearing about this in the news.